Best Interior Paint Brands 2019, Top Indoor Paint Reviews - Eco Paint, Inc. 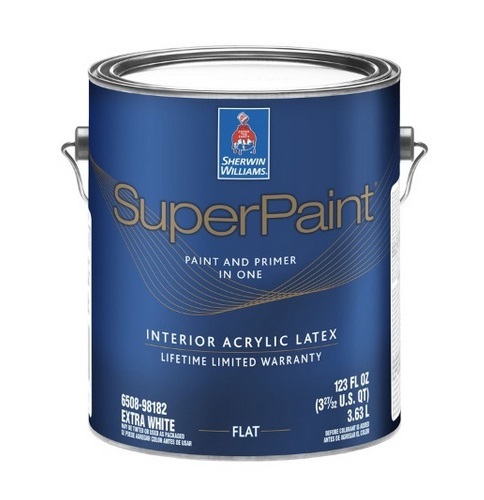 Needing to buy paint for a coveted interior? Rewarding indoor surfaces with best paints, by top paint manufactures, available today. Evaluating latest paints flat, matte, pearl, eggshell, semi gloss, gloss, as well as high gloss paint finishes saving time & money. Needing an interior paint you can be happy with many years to come, laying all this out before you. Our recommendations are the same paints we use, having excellent results. Before we get into each paint one by one, wanted to get something out in the open. As a painter & painting contractor well over 40 years, I have seen a vast amount of improvement with all indoor paints coming almost full circle. Dating back from a Tom Sawyer white wash paint coating, to advanced ones, now having primers built into the base. You now have the luxury purchasing a wealth of technology, research and development over same time span, going full circle with improvements. Each paint manufacture listed, spends millions upon millions each year improving their prized paints. Ensuring you have an enjoyable interior painting experience. Every paint listed, provides exceptional coverage, uniformity, durability as well as protection, with a ton of lab research and development (R & D) taking place. Speaking from an authority on the subject, having used many of these already, new paints come out like new cars do, with the latest ones each year seen on new lots in last quarter of each year. New paints & formulations have now arrived in paint stores for everyone's enjoyment. Best flat paints are dullest of interior finishes, hiding the most imperfections.Flat paints widely used on smooth level 5 walls, for a professional, easy to touch up appearance.The top interior flat paints give you the highest scrubs, without harming, having to repaint. Knowing the cheapest interior flat paints will come off with just a damp rag. Next time your in a doctor's office, take a look around, chances are flat paints have been applied. Having no paint sheen whatsoever, one's eyes can focus on something else more important in the room. This is why most ceilings enjoy flat paints, and Sherwin-Williams™ Eminence® high performance ceiling paint will work best. Covering over darker colors with only one good coat! Making your next ceiling painting much more productive, enjoying getting to paint walls much quicker, if that is in the program. 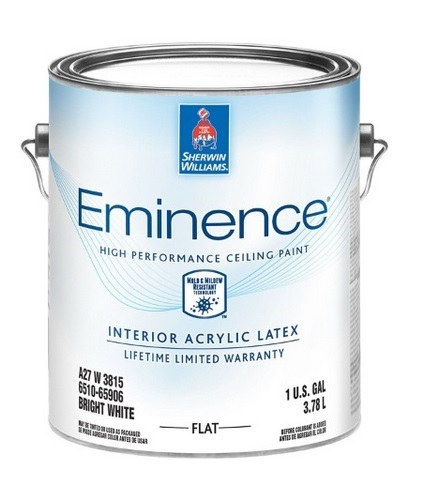 Eminence® is the best high hide flat paint, covering exceptionally well, also giving highest color retention. 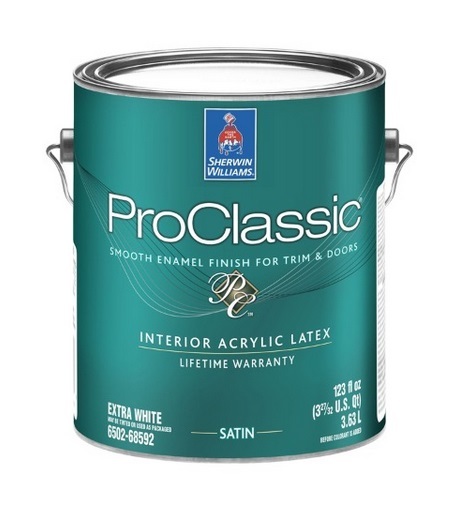 When mixing & matching matte, pearl, & satin paints within the same paint job, a superior brand is none other than Sherwin-Williams™ Cashmere®. For an ultra-smooth, rich, silky finish, count on Cashmere®. This paint easily glides off the brush or roller and the result is a difference you can definitely see and feel. 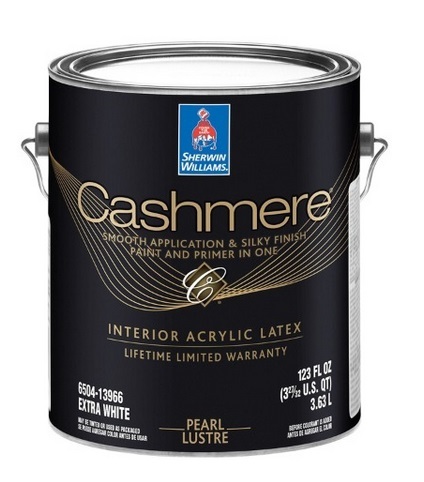 Cashmere is our most forgiving paint, offers outstanding coverage and is perfect for painters with limited experience. Having used this in the last several interior jobs, we are sold with ease, spread-ability, and coverage. Also having highest color retention, resistant to fade, Cashmere® is ideal. If you are looking for a commercial grade paint, having an eggshell paint sheen, this paint comes in flat, eggshell, as well as semi-gloss sheens. This is our go-to for eggshell, allowing the easiest flow, allowing ample coverage, and uniformity. Laying this on now coming with paint and primer in one, new for 2019. Covering with added primer in an already superior eggshell finish, we could not be happier using it. Costing a tad bit more, just like anything for 2019, generally increasing 5% from 2018's prices, this added primer is well worth every penny of extra cost this year ahead. 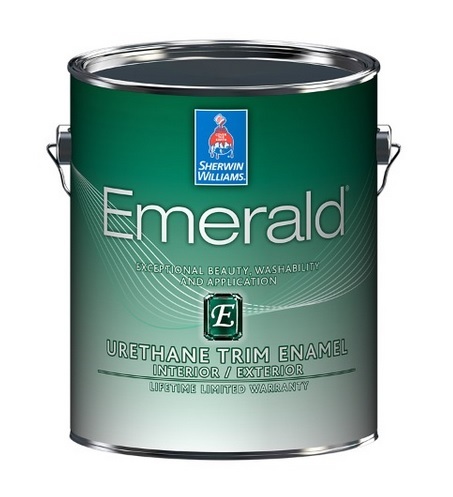 If you are in the market in 2019, for a semi-gloss paint that will stand the test of time, look no further than Emerald® from Sherwin-Williams™. Combining newest formulation, with an oil urethane semi gloss, but enjoying a water cleanup, this one is it. Yes, urethane does smell a bit more than Green Earth Friendly paints, however this one is still has the lowest when it comes to urethanes. Keeping air quality at it's best, knowing you'll never have to paint again because of discoloration. Works well painting trim, baseboards, doors, & cabinetry throughout your home. Wanting what professionals use in 2019 for a high gloss finish? ProClassic® is the answer. Combining a lifetime warranty, with a heavy bodied enamel coating, bringing attention to mantels, crown moldings, cabinetry, doors, & bookcases. This product is special, and applying takes a professional painters touch, keeping a wet edge while laying it on. Having only a limited number of strokes, this product is magnificent if properly applied. However, this is not for your weekend warrior, or who has little painting experience. The glossiest of them all, ProClassic® will last many enjoyable years to come, allowing a commercial setting of multiple cleaning scrubs. Once on, it's there to stay. Below is a collection of paints in 2018, still on the shelves at your local paint stores. You can choose the most beautiful shade, but if the paint is mediocre, the end result is likely to disappoint. Our tests find that economy grades of interior paint don’t perform well overall, and you may need to apply three or four coats to cover dark colors. Paints scoring Very Good or Excellent in hiding cover most colors in one coat. Most of the tested paints are claimed to eliminate priming. Our interior paint ratings tell you how well a paint hides what’s underneath it, how smooth the finish will be, and whether the paint resists stains, scrubbing, gloss change, sticking, mildew, and fading. Because a brand’s flat, eggshell, and semi-gloss formulations perform similarly overall, we’ve combined the scores into one to make it easier for you to choose. Our exterior paint ratings indicate which paints are likely to last the longest on your home. We rate how a paint resists cracking, color change, dirt, and mildew. Read this now so you don't get ripped off at the hardware store. There's nothing like a fresh coat of paint to spruce up a room. We've rounded up the best interior paint brands so you can rest assured that your walls will look great for a long time. Behr Premium Plus Paint is our top pick because it is stain- and UV-resistant, has low VOC emissions, dries quickly, and doesn't cost a fortune. Giving a room or your whole home a fresh coat of paint may just be easiest and most rewarding task to check off your to-do list. Why you'll love it: Behr is one of the most popular names in paint, and in the case of its Premium Plus paint, you'll get both stain and UV resistance. If you're looking for a paint that can go just about anywhere, then the Behr Premium Plus paint is one of the most solid options on the market. Behr's Premium Plus line is well-loved by shoppers, and in fact, claimed two out of the top five slots for Consumer Reports' top five interior paints in 2017. 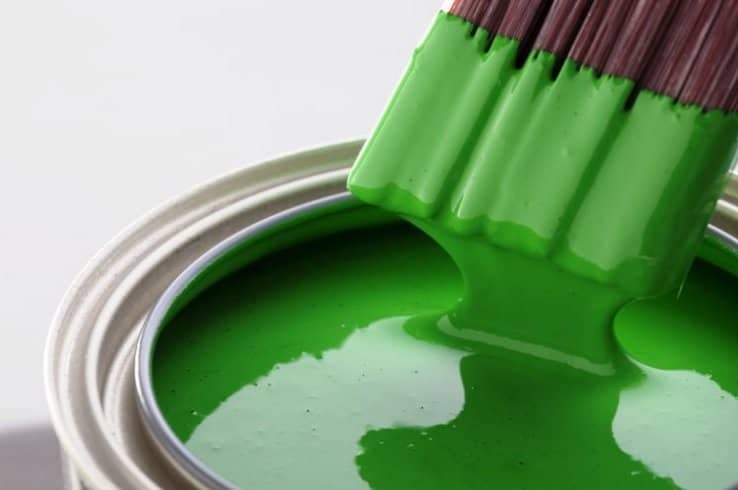 Why you'll love it: Valspar Signature paint does a great job at hiding your mistakes before, during, and after painting. If you're looking to cover up flaws or imperfections, Valspar Signature is the way to do it. As Good Housekeeping points out, Valspar's Signature Paint does a good job for both removing stains and withstanding the test of sunlight and time. Why you'll love it: PPG Diamond paint is not only great for damp rooms and areas, but it's also extremely affordable. Nearly 300 happy customers from Home Depot have given PPG Diamond paint a nearly perfect five-star review, noting that this paint requires fewer coats, dries true to color, and is low odor and without harmful chemicals. Why you'll love it: Sherwin-Williams' Infinity paint is the way to go if you're looking to completely transform a room or your whole home. Sherwin-Williams' Infinity paint and primer combination will help you turn your dark room into a bright one. Meant specifically for dramatic color changes, this paint, launched under the brand's HGTV Home line, is meant to provide extreme hiding power and coverage. And there you have our lineup for 2019, giving away all of our secrets. Again, knowing there are many choices you can make, today there is not an inferior paint that will not perform the way you envisioned. Our technology today has come a complete about face, providing all of us a premium coating. What marks 2019 different than 2018 is two fold, and we all get to relish with improvements. One being a paint and primer combined into one coating, bonding, sealing, covering, and leveling much better. The two being many of this year's selections have a lifetime warranty. Do not know about you, but can't much better than lifetime. Having used most of these listed from one time or another, our selections for 2019 keeps improving, to better serve your painting needs. Hope you enjoy painting, and look forward with any comments listed below.